With the everchanging world of technology, it’s not a surprise that new gadgets are popping up all the time. This year has been no exception. 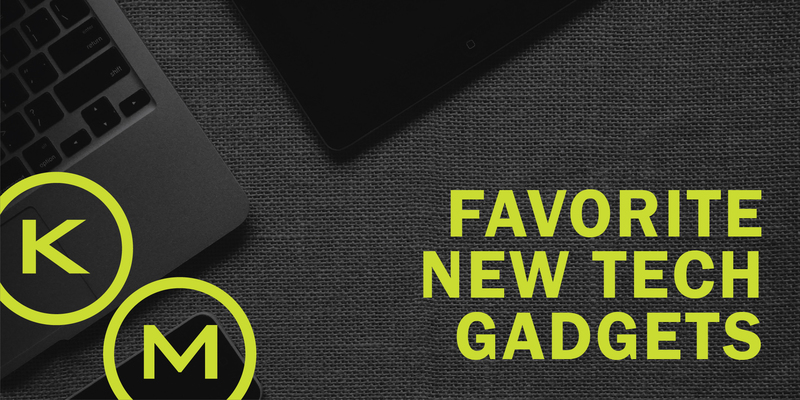 Since we’re just about halfway through 2018, we thought it was the perfect time for a roundup of tech gadgets that are exciting, popular, and new from the past six months! It seems that with each passing year the virtual reality headsets get better and better. This year has done a great job of proving that to be true, especially with the release of this model. Bulky and uncomfortable are no longer an issue with VR products. This headset from ASUS weighs only about 14 oz and has a sleek 3D design on the front and on the controllers. Last year’s impressive breakthroughs on 3D printing have paved the way for this year’s trend. The 3Doodler Create+ and the more advanced version stepped into the technology scene as an alternative for people to try their hand at 3D printing without an actual printer. The easy to use pen and kit shows how this technology is spreading into people’s everyday lives. Siri and Alexa had their time to shine. This year, Kuri is the name to know. Kuri is a friendly robot that moves around your home and is equipped with cameras to capture the everyday moments of your family. But, the features don’t stop there. Kuri has speakers for music and audiobooks, live stream technology, and a paired app that lets you control Kuri’s moves. The app also gives you the ability to see through Kuri’s eyes which means you can always check in on the house and pets while you’re away! The idea of “electronic pickpocketing” and identity theft is a fear that companies have used to fuel their new inventions. Wallets, like the one featured here, have radio frequency identification blocking technology that prohibits thieves from gaining electronic access to anything with an RFID chip, like a credit card. While RFID blocking technology isn’t completely new, the trend is definitely getting more popular. Safety is a priority this year, but that doesn’t mean fashion must be neglected. Holograms… on your phone! Yep, you read that right. The holographic smartphone will be able to display 3D images without the need for special glasses or any other type of aid. It is scheduled to be released later this year and will be sold by both AT&T and Verizon. So far, 2018 has proven to be a great time for new inventions and products that are changing our everyday lives. 2018 continues to be a steller year for KellyMitchell too! Interested in what we’re doing to make 2018 an amazing year? Check out our job postings here.